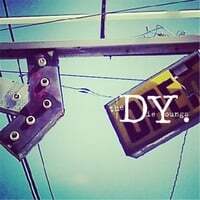 The Die Youngs-Nothing's Broken. Denny Smith's been supplying a lot of the music I've written about on the pages over the last several years, either through his roots-rockin' band The Great Affairs or his harder-rockin' band fORMER. Through that time, he's collected a fair number of tunes that didn't make the albums for one band or the other, and had some other songs kicking around, so why not create a third project? Teaming up with fellow Nashvillian Kenny Wright, Smith gives an album that may not be as cohesive as his other releases, but in my book 13 quality tunes are cohesion enough. So you get some fine Butch Walker-styled "hard power pop" in "As Fine as You Are" and "Dirty on the Stereo", rootsier moments like "Some Things Never Change" and "Crawl", and straight up power pop in "That's My Girl" and the title track. The common denominator here is Smith's radio-friendly sound, even if in this case we're talking about different radio formats. 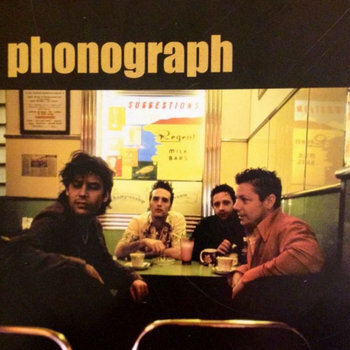 Phonograph (UK)-Phonograph Vol.1. Phonograph (I added the "UK" to their name since there's an American alt-country/roots rock band I'm fond of with the same name) is a 4-piece out of London who've made an auspicious debut that David Bash sent in my direction. They have a timeless sound that recalls many of the leading power pop touchstones, and "She Knows It" opens things in grand fashion, a Big Star-influenced number that's quite catchy, while the Beatlesque, midtempo "Waiting for the Sun" and it's "la da da da" chorus make for an instant earworm. Speaking of Beatlesque, "Don't You Bring Me Down" has a real Merseyside 1965 sound and "Fading into You" would fit nicely on one of Badfinger's first few albums. This is probably the most accomplished "classic power pop" debut since Cirrone a few years ago, and could be a year-end best-of contender. Right now, it's download-only from Bandcamp, and you'll have to convert pounds to dollars if you're in the USA, but it's worth it. 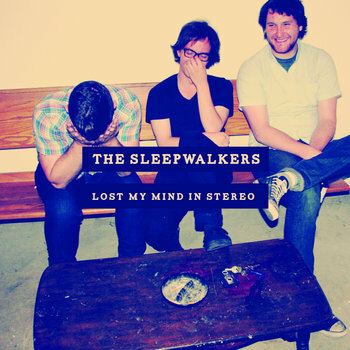 The Sleepwalkers-Lost My Mind in Stereo. The SLeepwalkers are Ian Olvera & company, whose last two records came out as The Ian Olvera Band, and then Ian Olvera & The Sleepwalkers. Along with the subtle shift in band names, there's been a subtle shift in their sound as well. Where once it was Jayhawks-meet-Tom-Petty, now it leans more to the Petty side of things with some slight nods to pop-punk not unlike Archie Powell & The Exports. Opener "My Best Wasn't Good Enough" advertises this change, rocking with attitude and melody, as does the frenetic "Come Around". Other standouts include the rocking and catchy "Talking Out of Turn" and the laid-back nod to their earlier sound in "Chicago". Top-notch stuff with a Saturday night feel to it. 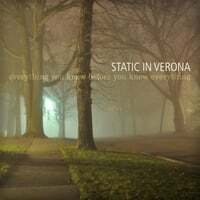 Static in Verona-Everything You Knew Before You Knew Everything. Also returning to our pages is Rob Merz and his Static in Verona projecc, following up his 2012 EP Some Things You Knew with this appropriately-titled release. Here Merz delves further in dream-pop, opening with the densely melodic "Bitter Branches" and following that with the percussion-heavy, vaguely electronic "Rosemary (Bury Me)" which still sports the hooks. There are still some nods to traditional power pop here, courtesy of "Roman Candle", but the sound here is summed up by the majestic "Friendly Fires" and its pop-friendly soundscapes. If you want to hear something a bit different that the usual power pop, but from an artist we know has the melodic bonafides, this one's a good investment. 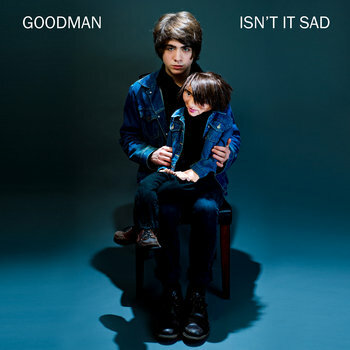 Goodman-Isn't it Sad. NYC's Goodman is back with his second full-length, following up last year's What We Want. Isn't it Sad is another collection of tuneful indie pop, with the standouts being the power-popping title track, the midtempo "I'll Live Without Your Love", and the 80s-influenced "Like What They Like". A must for fans of AC Newman and Robert Pollard. Evil Arrows-EPs 1 & 2. 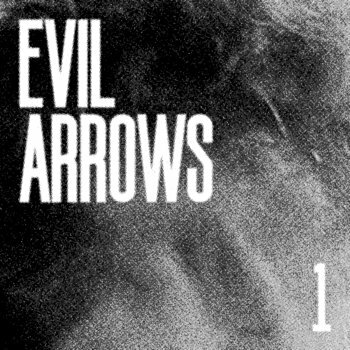 Evil Arrows is the latest project from Bryan Scary, well-known to readers of this site and the power pop community in general. His early releases were tuneful but suffered from a bit of ADD, but he later dialed it down and now with Evil Arrows he's honed his craft and put out an engaging pair of EPs with more apparently to come. We'll take these first two, released within about a month or so of each other, as one album. From EP1, "Romancer" finds Scary in playful mode, with a rollicking tune festooned with a lot of "la la la"s, "Silver Bird" has a Jellyfish vibe to it with its baroque piano parts, and "The Lovers" reminds me of Queen. On EP2, things take a turn for the cheeky with the frantic "Last Living Doll" and "Putting My Heart on the Pyre" recalling Scary's early work, while "Shadow Lovers" channels the early 70s glam rock of Sweet and Gary Glitter. It's great to have some more Scary power pop again. 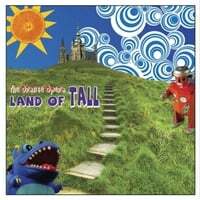 The Orange Opera-Land of Tall. The Orange Opera is led by Kevin Hambrick, who has written hundred of songs over the years and was even featured in a documentary about being a musician in Fort Wayne, Indiana. His experience shows in his intricate popcraft, which fits in thematically with the two artists featured above as piano-based indie pop. Opener "Coy" is clever and catchy, somewhere in between Ben Folds and The Format, and "Happy" fits that bill as well. And don't miss "We Were Laughing", which is McCartney's "Nineteen Hundred & Eight Five" meets Jellyfish.